The Republic of Gilead offers Offred only one function: to breed . If she deviates, she will, like dissenters, be hanged at the wall or sent out to die slowly of radiation sickness. But even a repressive state cannot obliterate desire - neither Offred's nor that of the two men on which her future hangs…. Top marks for the story and the narration. The author transports us right through the wall of "that could never happen" into "yes that really could happen". That is quite an achievement - to make something which is both horrific and unecessary become a solid reality and something which happened **on purpose**. Which in turn carries us from "yes that really could happen" to "that must not be allowed to happen". As for the narration, it may be the best I've come across in Audible. I'm not privy to the author's thoughts but I feel as if the narrator has captured every nuance as the author intended. This story needs to be understood by all men and women without the interference of various "softening" or "dramatic license" or anything else. It is not perfect in either its form or content but it contains an imperative. Read this and understand what is at risk. Already. Again. Are we all to end up as footnotes in a sociological history conference in a galaxy far away? Without resistance? A gripping story and a great performance. I enjoyed the performance and the story, it was extremely well written but would have loved to have some more detail on a few things in the plot. It was definitely not an easy Sunday listen with some shocking content. Highly recommended. I heard that this book was excellent. Unfortunately, it failed to get my full attention. The text is jam-packed with too many adjectives, which makes it slow to get any point across. The story itself is not that interesting either. I often felt that the author overlooked the readers by including long-winded narratives, which don't convey anything effectively. I simply couldn't finish this book. Got to the point that it became irritating. Overall, it is not a book I would recommend. I'm surprised it is popular. This book, gripping and chilling, grabs you from an apocalyptic future and propels you through an intense narrative about a world where religion has become the cruel, sinister dictator we all secretly fear that it could. It is sometimes difficult to understand dialogues because the performer does the same voice for everyone. In addition, at the end, it takes time to understand the Historical Remarks are not part of the main story as no sufficiently long pause or voice change is done by the performer. Both the story and the performance is so gripping and thought provoking and masterfully executed. 1st time listening via audio book. My imagination still visualized, as when reading. Loved it. I have enjoyed the much extended television to greater exrend and read this just to see the starting material. The Handmaid’s Tale is an epic story but Joanna David’s performance brings it to life, subtle change in the tone or voice modulation brings the biggest of differences to the narrative. Really recommended. This was always one of my favorites from a young age. 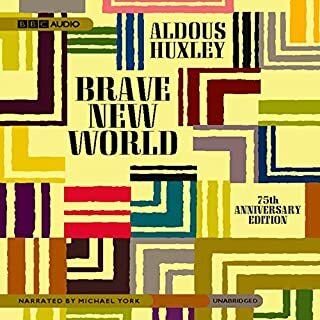 Listening to it was an absolute pleasure and took me back to the time when i first discovered this book. Margaret Atwood's vision of this male dominated society in which women are segmented into their different roles for 'the good of whole' draws you in and doesn't let you go until the very end. It hauntingly reflects attitudes that unfortunately exist in some cultures in our world today and makes you take a closer look at society in general. I know this is a book i will listen to over and over again. 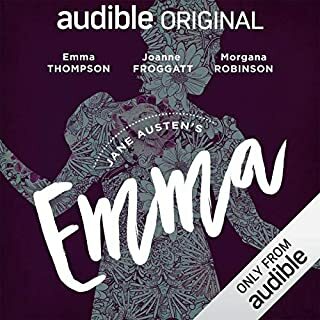 Joanna David is excellent reading Jane Austen but she is just so wrong for the voice of the young Canadian woman at the heart of this wonderful, important novel. I just couldn't listen to it after a few chapters and had to buy an alternative reading by Claire Danes which is available on cd from Amazon. It's not perfect, but her voice does seem to match the central character who is also the narrator relating the story. I don't understand why that isn't available on Audible - it should be. 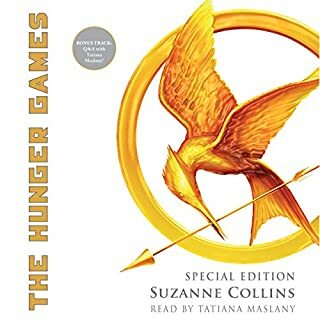 Honestly this has been the best novel I've listened to so far on audible. I know some others have found the narrator didn't fit, and I must admit that I myself had to get used to her voice. But overall she narrated it beautifully. The storyline itself is very interesting and well-written. However, it does sometimes get confusing, as it jumps into flashbacks and flashforwards and becomes a bit difficult to keep track. This is an excellent book and I can see myself listening to it again in the near future. I would recommend this for fans of Margaret Atwood's speculative fictions.The first person narrator did, in the end, for me, get a little trying. I particularly liked the historical notes tagged onto the end! What three words best describe Joanna David’s performance? Joanna David does a decent job narrating this tale but hamstrung by her cut glass and slightly breathy english accent. This tale is set in New England or Maine and is peppered with references and allusions that have a local colour. Why, then, didn't we have an american reading the book. I think this would have made more sense and might have even have made it a little more engaging. (ps I am Welsh and not being nationalistic!). The narrator maybe excellent reading Jane Austen but she absolutely the wrong voice for the young woman at the centre of this incredible & important novel. 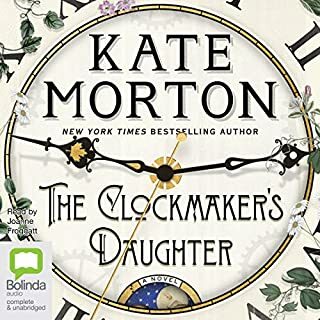 I could not bear to listen to it after a couple of chapters and had to find the alternative version by Claire Danes, whose voice and performance is suit the story perfectly! 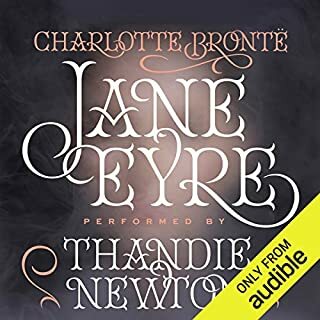 There is a slither of logic as to why audible chose an English narrator for a uk market, but the incredibly, incredibly, posh voice does not suit this text in the slightest. I could not imagine this upper class sounding voice realistically representing the voice of the ordinary sounding background of the central character. It is totally unsuited and disconnected. The equivalent would be getting a thick working class accent from the deep South of America to narrate Pride and Prejudice. Out of place and out of context. What a waste of time and energy. 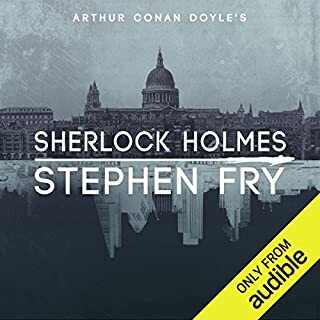 I feel it's a bit unfair to rate before finishing listening, but I'm really struggling to get over the narrator's English accent (I am English), which seems inauthentic against the story, which is clearly set in a distopian North America and uses jargon that sounds really incongruous when said by an English person. If you can get over this, give this book a go, I guess! The story was fascinating and the performance was very good, but it is a book that is more suited to being read then listened to. It is one of those books where you find your self stopping, whilst reading, to think about what they've just written, something which you don't give your self time for when listening. This means the book runs ahead of you while you are still mulling it over, and I had to rewind parts because I had been to focused on the last part. All in all I would recommend the story but would urge you to read a physical copy. This is an amazing work of literature which was honestly life changing for me when reading it but in the first ten minutes of it I already wanted to die because the voice reading this absolutely did not fit the voice of the characters and the story. I'm a fan of Joanna David but didn't think she was quite right for this. A younger sounding voice may have been more appropriate. 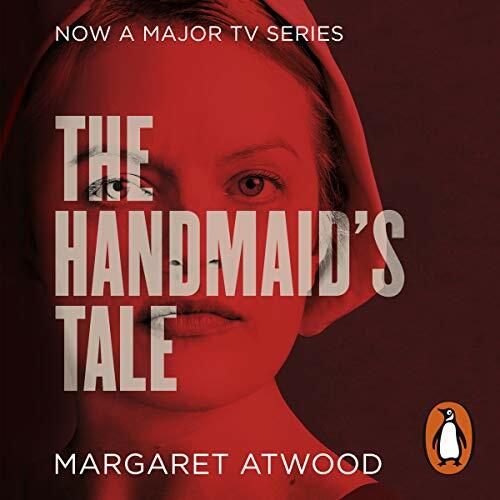 Would you try another book written by Margaret Atwood or narrated by Joanna David? Unfortunately, Joanna David is a poor choice for narrator of this book. Why a lady aged 60+, with a crisp British accent and a tendency to overact, was chosen to voice a young Canadian/American woman in her 20's or 30's... this I shall never understand. The book has been written in the present tense, so it is not like there is a 'reminiscence' or 'recollection' stream to explain the bizarre choice. I was so annoyed I was unable to immerse myself in the story. Please think of future listeners and employ a more age-appropriate and accent-appropriate speaker to re-record this work. Loved the narrative. Not quite sure, though, why the narrator was British given the American setting. I wouldn't change anything in the text, I think it was fairly well-written. Maybe a little dry in parts, but I suspect I only feel that way because of the performance. The book is set in America, and the protagonist is a young American woman. The narrator, for some inexplicable reason, is a middle-aged British woman. There seemed to be no connection between her and the characters on the page. Could you see The Handmaid's Tale being made into a movie or a TV series? Who would the stars be? It's already been made into a TV series, and I'm excited to see how they expand past the end of the book. All the ingredients are there, the narrator did a good job, the story appeals. I just found it dragged and I got lost. Maybe it's the story structure? I didnt feel drawn to keep listening to it but i made it to the end. Will probably return this, didn't enjoy it. I watched the show first and was intrigued to read the original story. Thoroughly enjoyed the story. I agree the narrator could have been younger and American but it didn't spoil the story one bit. I bought the book on reviews & having enjoyed one other by this author. I found the book very slow. I kept thinking it must get better but just as it started gaining momentum it just went on & on. I struggled to finish it. The narrator was easy to listen to. I would not recommend the book. Such a clever way of raising and discussing issues faced by women, and thus men/society. A brilliant read, an engaging story, and a topic that everyone needs to bring to the fore. really enjoable andthought provoking, especially part two. Struggled a littlewith the perfect englush diction for a young American. Oh God- the narrator was SO WRONG! An 95 year old sounding, posh, plum in the mouth, English woman, narrating what probably would have been a fairly dry humoured novel at times if delivered by a less theatrically inflected old lady, but the young American woman the book describes! plus the cryptic descriptive prose made for arduous listening at times. But the guts of the story is good, so I'm enjoying the tv series. Makes more sense! !